Escape Velocity - The Anthology, containing my short story Relativity, is out now for the kindle and available in paperback on May 12th. Also in the anthology are two people I was talking to at EasterCon recently: Roy Grey and Ian Whates. 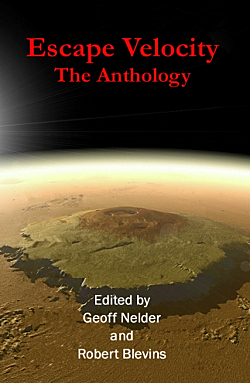 It's a 360 page book of stories that appeared in Escape Velocity magazine as well as stories new for the anthology.